Pioneers in the industry, we offer copper braided connector with lugs, tinned copper braided connector, braided copper flexible connector with silver plated ends, stranded copper flexible connector and water cool copper connector from India. We are engaged in offering a wide array of Copper Braided Connector with Lugs. Offered range of product is used in the powerhouse, isolators and electric security. These are assembled from optimum quality components under the guidance of skilled and experienced professionals at our vendor's end. Offered array of product is highly demanded in the market. Moreover, we assure to our valued clients to provide a quality tested range that can be delivered from our end at a leading market price. We are one of the trusted names to offer Tinned Copper Braided Connector for our valued clients. Provided range of product is made from the high-grade quality raw material. 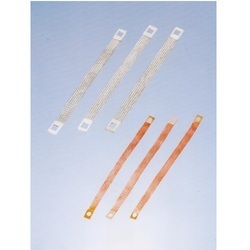 Offered products are widely used in power connections of cable trays and extension power joints. Offered range of products is highly appreciated and demanded by our clients. The client can avail these products at leading price from us in the market. 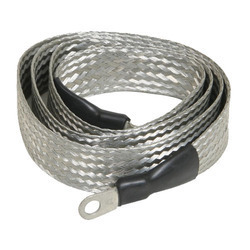 We are involved in manufacturing a wide spectrum of Braided Copper Flexible Connector With Silver Plated Ends so that caters the various industrial requirements. The connectors are highly acclaimed by the industrial customers for various applications. Copper flexible connectors manufactured by us in accordance with industrial quality standards. As a leading copper flexible connectors manufacturers, it has been precisely prepared by the skilled workforce using the high-tech process which ensures its longer functionality. Application Electrical wiring for electrical connection and power distribution cabinet. We are involved in manufacturing a wide spectrum of Stranded Copper Flexible Connector so that caters the various industrial requirements. The connectors are highly acclaimed by the industrial customers for various applications. Copper flexible connectors manufactured by us in accordance with industrial quality standards. As a leading copper flexible connectors manufacturers, it has been precisely prepared by the skilled workforce using a high-tech process which ensures its longer functionality. 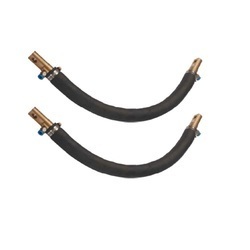 We are Engaged in manufacturing and supplying of Water Cool Copper Connector. This product range is manufactured using premium quality raw material and offered on the basis of specifications provided by the clients.